Paddy Hagelthorn has spent the last 26 years in South African private game reserves, conducting safaris, managing lodges and training rangers, and he is currently in a senior position at Savanna Lodge in the Sabi Sand. He has been lucky enough to witness the rise and fall of the Mighty Mapogo. “This coalition originated from Mala Mala from what I believe was called the “Eyrefield Pride” and moved into the Western Section in 2004. In their quest to dominate this area, they killed approximately 40 other lions which included lots of cubs, females and adult males. 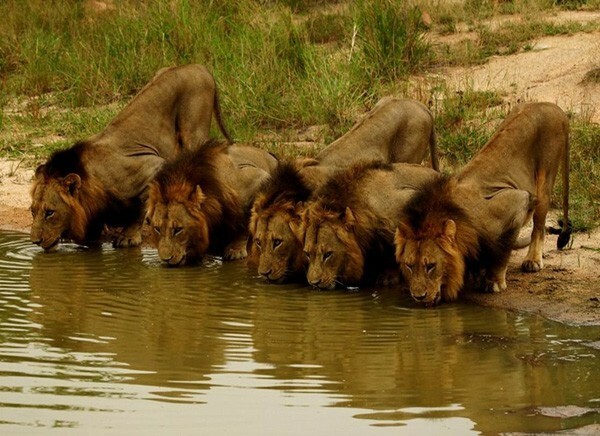 Once they had established themselves, the coalition split and two took over the Londolozi area coming into the Singita area, whilst the other four took over the Singita and Western block area. 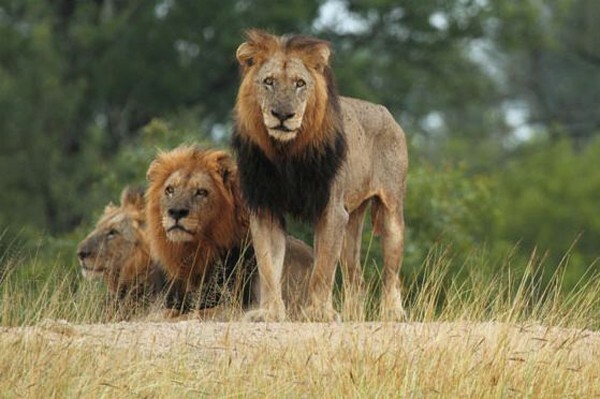 In 2007 a new coalition moved down from the North into the Londolozi area and in the ensuing battles, one of the five in the new coalition was killed, as well as one of the two Mapogo. The one remaining Mapogo then returned to the Western block to join up with the other four of the coalition. He had not been part of the breeding of the cubs in the Western area, so when he arrived back he proceeded to kill all the cubs in the Western block. This earned him the nickname of Satan. Over the next three years, two of the coalition just disappeared and we have no idea what happened to them. 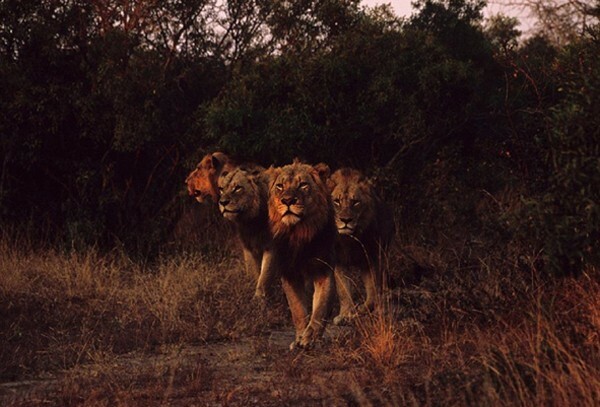 The remaining three continued to dominate the Singita/Western Block area until last month when the Southern Pride, a pride of originally five males, made their move to establish territory in Singita/Western Block area. 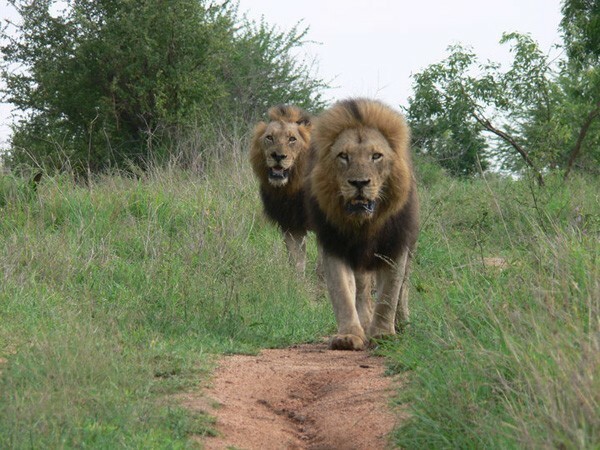 One of the Southern pride was killed eighteen months ago by the Shingalana pride that had taken over the dominancy at Londolozi. About four weeks ago, the Southern pride had a clash with the Mapogo and it was evident that they had the upper hand, as the Mapogo ran from them. However, the Mapogo returned to the Savanna property, pursuing the herds of buffalo that they had learnt to live off and it was after one of these kills that the Southern pride located the Mapogo again. From what we can ascertain, they split up the Mapogo and went in pursuit of Satan whom they caught and killed on Mackenzie cutline near our western boundary. It was clear that this magnificent animal was no match for the four young intruders and they paralysed him by biting through the spine and, over the next hour and a half, proceeded to tear him apart. The last two remaining Mapogo went east, as far as we know, and it was rumoured that they have gone down to Dudley where they will meet up with the controlling coalition in that area. I doubt whether we will see these two again, but whatever happens, their days are numbered. However, they have had a good run. They lived longer than most male lions do, especially with the adversity of having TB, and it was an encouraging sign to see that they have lived to full term, despite this debilitating disease.